Just a glimpse of the beautiful Alexandria, Virginia is not good enough. You need to see every nook and cranny of its rich history, stunning scenic views, serene parks, and even its modern entertainment. Before you explore the place in the flesh, it is more preferable to know some basic details about it. A “must-visit” Alexandria is located just on the waterfront of the famous Potomac River. The city is known for being historic highlighting the Old Town of which 18th- and 19th-century structures are still standing through the efforts of the locals to preserve the original beauty. What makes Alexandria a top destination? 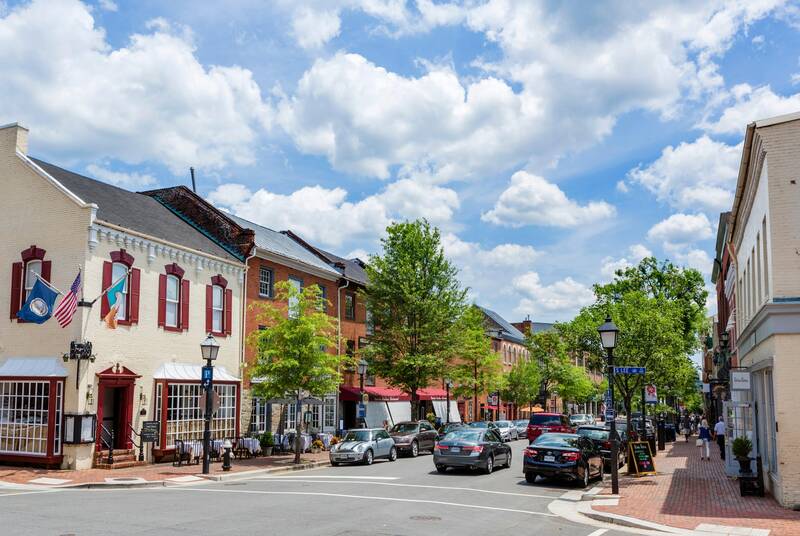 Some of the proof that Alexandria, Virginia is one of the noted places in the nation are its recognition. In 2018, it garnered the title as the #1 Best Value U.S. Travel Destination by Money magazine, Top 5 Best Small City in the U.S. by the Condé Nast Traveler Readers’ Choice Awards, and one of the South’s Prettiest Cities by Southern Living. Alexandria is undeniably a cream of the crop of Virginia. Alexandria was once the home of the late President George Washington. As you walk along its cobblestone streets and red brick sidewalks where the spirit of Washington is still alive–is already a great honor. Alexandria really pulled through great conjunction of both the past and the present. At the heart of the city, you can find the bustling and busy roads of King Streets. Also, various dining places, and entertainment along the streets. You can either a package tour for a well-planned and convenience trip. But if your adrenaline says that you should go for an exciting adventure, you can always do the “backpacker’s trip.” Whatever it is you choose, there’s only one thing you have to keep in mind–enjoy every moment, explore every attraction and never miss one. Since Alexandria is known for its rich history, visit every colonial site and building as much as possible. A simple sightseeing around the city can be more special because you can rent a bike or a boat at Mount Vernon. Or, you can board a water taxi or a river cruise to have a phenomenal view of the Washington D.C. monuments. Seize the opportunity to taste the local produce as well as some popular restaurants. In fact, Alexandria is recognized by Food & Wine, Bon Appétit and The New York Times for its one-of-a-kind culinary offerings. Visit the restaurants in Old Town and have a unique dining experience. You can enjoy a luscious meal while feeling the moment of living in the early times because of the historic ambiance. Where to stay in Alexandria? Accommodation is not a big problem since Alexandria offers various types of hotels both for short and long stays in reasonable prices. You can book a hotel near Washington, D.C., in the heart of Alexandria itself, or near the metro rail stations. Don’t think twice and be on your way to Alexandria, Virginia today!